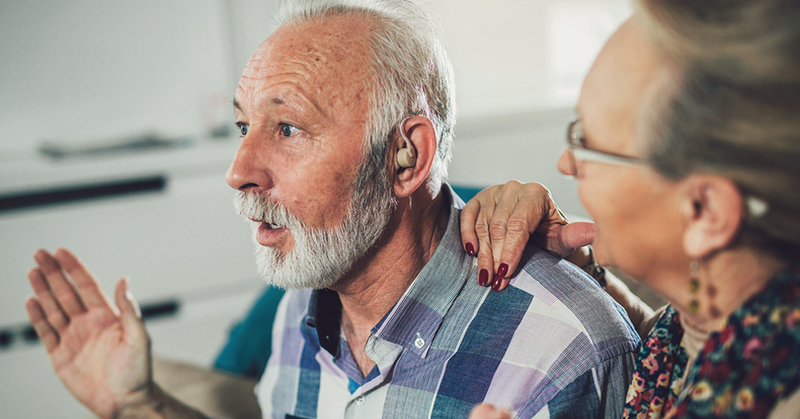 Hearing loss affects millions of Americans, but luckily, we have ways to compensate for hearing loss that don’t involve putting a trumpet to your ear. Hearing aids are small electronic devices designed to treat poor hearing and make the world audible again. Amplification is still the best way to treat most types of hearing loss. And hearing aid technology has come a long way – advanced design gives us an electronic means of amplifying sound directly into the ear. Digital signal processing is a revolutionary means we use in today’s hearing aids. Digital processing enables customized settings for improved clarity, especially for human speech, as well as noise reduction and tonal clarity. Naturally, all this digital processing requires a power source, which is where the hearing aid battery comes in. Simply put, not all hearing aid battery sizes are created equally, and the following hearing aid battery size guide will help you understand the different types of batteries. Per international standards, hearing aid battery sizes have corresponding color tabs to make telling them apart quite easy. The smallest of the four standard sizes is 10, which has the yellow tab. The next size up is 312, the brown tab. Its diameter is approximately 7.8mm, up from the size 10’s 5.8mm. Battery quality may vary from manufacturer to manufacturer, but the sizes are standardized to fit nearly all hearing aids worldwide. It goes with intuition that a bigger battery may have more power to last longer, but that also depends on the hearing aid itself, and how much of the battery’s power it actually uses. Size 13 (the orange tab) has the same radius as size 312, but is 5.4mm tall, vs. the brown-tabbed 3.6mm. The difference in height means this does indeed fit some hearing aids and not others. They are not interchangeable, so you definitely need to know which size (or which color tab) your hearing aid requires. The biggest of the four most common battery sizes, size 675 is 11.6mm in diameter and 5.4mm tall. This size is obviously bigger and therefore heavier, and can help larger, more complex hearing aids convert the digitally processed signals into more sound for more extreme cases of hearing loss and treatment. And of course, some hearing aids do not use standard sizes, though they are far less common. There is a size 5 battery with a red tab, but it is not nearly as common as the four sizes described above. There may be no easy way to determine which battery brand will work best for your hearing aid. However, size matters because only one size will actually fit into your hearing aid’s battery compartment. If you're looking to learn the required battery size, you can always check the hearing aid packaging. Where this information is listed will vary depending on the brand. Sometimes the battery size information includes additional letters (such as, for example, R675MF or 10DS). However, don't let the additional letters throw you off – the numbers will consistently tell you the hearing aid battery size you need. Some packaging will also indicate the color of the tab associated with the battery size, so that’s another way the standard sizing helps patients. Hearing aids themselves will also often indicate battery size on the battery compartment, in case you no longer have the original packaging. They will give either the size number or some will show the tab color. It’s often there, though also often hard to see, because hearing aids are so small and their battery compartments are even smaller. One more thing – make sure when you look at the size on the packaging for a new battery, pay attention to the battery size and not the “use by” date. Batteries have a shelf life and of course it’s important to know whether or not your batteries are past their expiration date. However, don't confuse the expiration date with the battery size. Contact North Shore Hearing P.C. today to learn more about hearing aid battery sizes or any other hearing service.